Here is the another success from Volcano Tool, ZEN P48 SC6531 CPU Read Unlock code and read flash done with the latest volcano tool 2015. The below is the complete flashing process of ZEN P48 SPD chip-set. 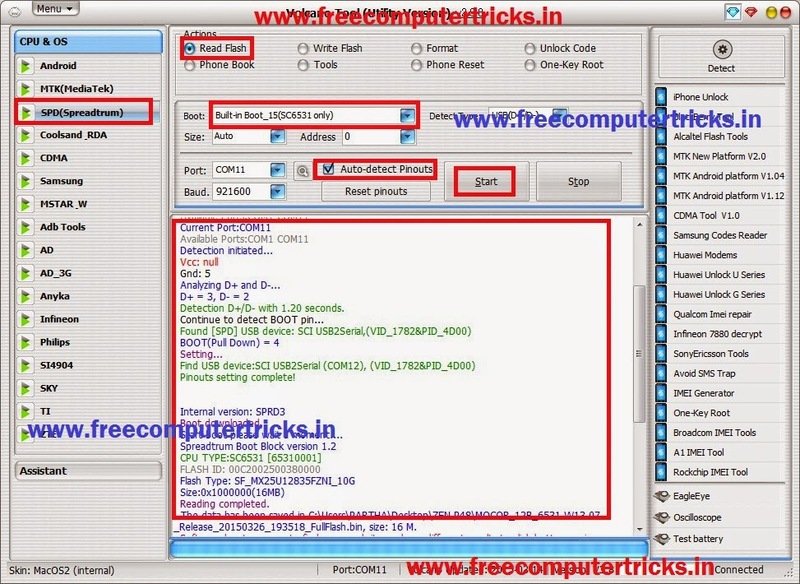 After read flash select the flash file and select Unlock code then click on start button, it will read the password or any unlock code for the mobile phone.